Taylor Mason is an extremely talented Ventriloquist and comedian. Because he is full of energy, wit, and is a quick thinker, he is able to speedily switch between his ventriloquist puppets voice and his own voice. He is great at keeping the comedy clean and “family-friendly“. He can be trusted to perform in front of audiences of all ages and does not offend people who have good morals. He is said to be “One of the Top Ventriloquists in the World”. Not only is he very talented in changing his voice fluctuations and tone to keep up with the role play going on between puppets and himself, he also makes people laugh with his witty jokes. In 1990, Taylor Mason beat out many comedian contestants, making him the winner on the show, “Star Search“. Because of his skill for writing and performing his comedy acts, he now performs shows in church buildings and also in comedy clubs across America. Go to a Taylor Mason show and you’ll get more bang for your buck as you pay for two comedy acts in one. Taylor Mason and Romeo come together as a package. If you enjoy watching a ventriloquist, you’ve come to the right place. Like most ventriloquists, Taylor lets Romeo steal the show. Romeo takes over with the jokes and Taylor has to stand back, attempting to keep his puppet under control. The best part of a Taylor and Romeo performance: it’s clean entertainment. Bring them to any venue that is looking for family fun and this dynamic duo will keep everyone in the house in stitches. Taylor Mason got his first big break in comedy when he won “Star Search” back in 1990. For those who may not remember that program, think of it as paving the way for today’s “America’s Got Talent.” Since that time, Taylor has traveled the country, delivering first rate comedy, along with his musical talents, and his abilities as a ventriloquist. He’s a master at writing his own comedy and is versatile as well. Whether Taylor is performing for the big wigs at Microsoft, is at a premiere comedy club, or a family festival, he can deliver with ease. Audiences of all ages can appreciate his humor, his puppets, and his music. Everything blends together for some innocent laughs, leaving out the need for crude language or dirty jokes. To get an idea of where Taylor fits in, you could watch him perform with Romeo with Disney entertainment or walk into a convention for a major corporation in America. Regardless of the venue or the event, Taylor Mason can live up expectations when it comes to making people laugh. Invite Taylor Mason to an event and prepare to let the rest of the world go away for a little while. Once he pulls out Romeo, the laughs are on. The whole audience is quickly carried along for the ride while Romeo drives the comedy act. Taylor can hardly get a word in edgewise once his puppets are on stage. His ventriloquist skills will amaze everyone to the point that the audience forgets that puppet isn’t real! Eventually, it seems like there are two guys standing on stage, bent on making everyone laugh until their sides hurt. If you are planning a special occasion and need to turn on the laughs, count on Taylor and Romeo. Whether he is performing for professionals such as for Microsoft or Wal-Mart, or for young children on Disney cruise lines, he is a natural comedian and always remains calm and sharp. His dialogue and jokes just flow quickly and flawlessly out of his mouth. 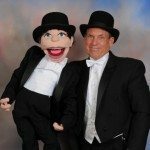 If you are looking to book a clean, yet still entertaining comedian/Ventriloquist Puppets, Taylor Mason is highly recommended. Because of his commitment and passion for what he does, the audience is drawn into his acts and is able to take a time out from any stress that may be accumulating in their life. Because he is so well-rounded and can tailor his acts for any audience, he is known to be “smart enough for micro-soft, funny enough for the improv/Second city, and clean enough for Disney”. He is talented enough to make anybody laugh without the use of vulgar language or jokes with sexual connotation used by comedians that so often make many people uncomfortable and/or offended. Because of his immense talent as a comedian, Ventriloquist, and musician, people often forget that the puppets are not real! Undoubtedly, Taylor Mason lives up to any expectation when it comes to helping people to forget the world and feel joy. As the saying goes, “Laughter is the best medicine”, Taylor definitely brings the best laughter medicine to cure any sadness. With so many unnecessary and crude jokes that come from most comedians today, Taylor Mason is refreshing to all! For more information on booking comedian ventriloquist puppets and Taylor Mason call 615-283-0039. Looking for a unique performance to entertain your next special event? Your search is over with Bob Stromberg and his Wonderful World of Shadows. With his identifiable puppet shadow shows, which perfectly blend comedy with storytelling, everyone will be sure to have a laugh! Managing to provide a comedy entertainment experience like no other; Bob Stromberg has proved time and time again that we live in a Beautiful World, and one truly can enjoy a laugh at the light and clean side of life. In What a Wonderful World of Shadows, Bob Stromberg tells the story of a man’s journey and some unique encounters with nature plus a special plot twist at the end for those audience members that may think they have it all figured out. The combination of both music and voice acting really add to the overall comedic value of the story and make for a much more genuine experience than can be had by most other shadow puppet performances. The sense of humor is very real and immediately felt, which creates an automatic appreciation for Mr. Stromberg’s skill in this art. Creating lifelike and mobile shadow puppets using your hands and a few other props is a talent not many possess. Not only are the individual images formed fantastic, but the seamless transitions from one setting to another are something that I have not seen in the shadow puppet industry so far. Experience in this industry is something that really shines out, especially in the unique style presented through Bob’s various shadow puppet routines. Moral values in comedy have been progressively declining in later years. However, Bob Stromberg’s talent is entirely clean and something that everyone can enjoy. This makes it a great option for corporate events that require a genre of comedy that is both non-offensive and entertaining. Your workplace will have a blast being able to spend quality time bonding and laughing together regardless of age or personal moral standings that may make some comedy routines these days uncomfortable and sometimes even offensive. All in all, this is a full package deal without a doubt. Simultaneously entertaining your co-workers with music, art, and storytelling is sure to be a hit and help create a time that you can look back on and smile, or maybe even laugh! A story specifically catered to your corporate event will create even more good times and laughs among those in your workplace. Next time you are browsing for high quality and clean entertainment for your corporate event make sure that Bob Stromberg and his Wonderful World of Shadows is at the top of your list! Taylor Mason is known for putting on memorable comedy performances with Paquito, full of humor, wonder, and interactive fun that are intended to entertain and delight whole families. He has traveled the country for the past three decades to perform for packed crowds. 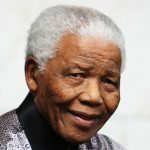 He has entertained audiences at some of the most famous venues in the world including Carnegie Hall in New York City, Red Rocks Amphitheatre in Colorado, and Sydney Opera House in Australia. The esteemed comedian and ventriloquist regularly invites members of the audience up on stage with him to participate in his act. Mason has a large fan base of kids, and he is known to choose them out of the crowd so that they can take part in the show and have a personal encounter with his array of intricate puppets. Audiences become hooked by Mason’s interaction with his sassy and humorous team of puppets. The highlight of Mason’s performances comes when he sets a few minutes aside to fill the audience in on the creative methods he uses to construct his unique puppets. He explains how he transforms everyday objects like ping pong balls and coat hangers into complicated contraptions that control the movement and appearance of his puppets. This is truly a show that appeals to all of children and adults in the room. Mason’s brand of family-friendly humor means there are never any awkward moments or uncomfortable situations to leave parents with an uneasy feeling about the content of the show. Audience members can expect clean humor that delivers big laughs. Everybody in the audience is left feeling inspired by Mason’s creativity and uplifted by his energetic performance. Despite his popularity with young children, Taylor Mason’s humor is far from child’s play. He crafts sophisticated and hilarious skits that appeal to adults without relying on offensive or provocative tactics to elicit laughter. 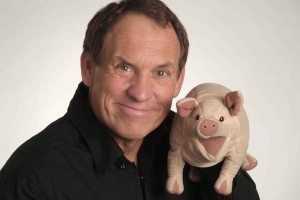 His use of physical comedy keeps kids engaged and interested in every single move that takes place on stage. Mason brings 20 years of experience as a professional entertainer to the table. His career includes many high-profile writing and performance credits. Event planners and hosts know that they can rely on Mason to deliver a top performance that appeals to all tastes and sensitivities. Taylor Mason regularly puts on lively shows for packed crowds for corporate clients like Microsoft and Wal-Mart. In addition, he entertains children and teens aboard Disney Cruise ships. 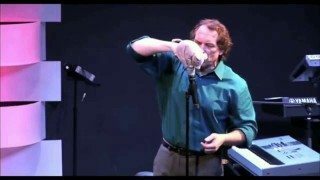 Ventriloquist, comedian and writer Taylor Mason performs with timid, verbally-challenged puppet with a penchant for feats of microphone gymnastics. Paquito joins the ranks of Mason’s other lovable creations, such as the wise-cracking Romeo, a part-time crash test dummy and wrestler named Sumo, and Paco-a Spanish speaking pig who somehow also managed to pass the Bar Exam. All of his characters are unique, entertaining and hilarious-all thanks to Mr. Mason’s talent, wit and years of experience in show business. After getting his start with the esteemed Second City Theater in Chicago, Mason finally got his big break in 1990. A tough audition process led him to have the opportunity to compete against some of the best and brightest comics in the country on Ed McMahon’s Star Search, a predecessor to America’s Got Talent. The live audience was impressed, and so was the esteemed judges-who awarded him the grand prize of $100,000. The notoriety that went with winning such a competition didn’t hurt either, gaining him appearances on such classic shows as Evening at the Improv, Caroline’s Comedy Hour, Comic Strip Live and the MTV Half-Hour Comedy Hour. Not content with only appearing on other people’s programs, Taylor Mason has also created and produced his own television shows for children, such as Bananas, Taylor’s Attic and an upcoming new variety series-all featuring his sweet and fascinating characters. Taylor Mason is also an accomplished writer, having written The Complete Idiots Guide To Ventriloquism. Published by Alpha in 2010, the book is a highly regarded must-read for aspiring ventriloquists. In addition to writing about the craft, Mason is also a sought after teacher on the subject of ventriloquism. Having performed at every major comedy club in the United States, Mason’s one-man variety show has been seen at such venues as Carnegie Hall in New York, Red Rocks in Colorado and The Sydney Opera House in Australia. While Mason’s work isn’t necessarily just for little children, his family friendly content has been deemed clean enough to be performed on cruise lines, corporate functions and church gatherings across the country. By staying away from offensive humor, Taylor Mason’s act is appropriate for groups of all ages. With satisfied clients that include Disney, Microsoft and Wal-Mart, Mr. Mason’s show is perfect for any function, event or private gathering-big or small! To book Taylor Mason and Paquito call 615-283-0039 or email [email protected] to find out more about booking Taylor Mason for your next comedy event. What Clean Comedian is on the Star Search Winners List? Looking for famous comedy actors?